The Junta de Andalucia, never an organisation to let go of an idea thought to be popular, has decided to restore more watch towers in Almeria, this time in the city itself. 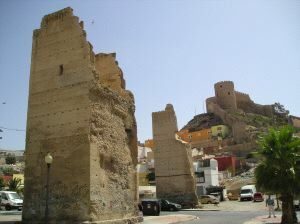 The 6 towers to be restored -at a cost of €156.286, or less than they spent on the Torre del Pirulico in Mojacar- form part of the ancient Moorish walls of the fortress and are scattered about town, 2 in C/ Impresores, 2 in Avenida del Mar, another in C/ Valdivia and the last in C/ Ruano. The construction of the towers, and the walls in between, started around 955; they survived to the greater part until the decision was taken in 1857 to knock most of them down to allow the city to expand. The watch towers are to be made safe, rebuilt where they are falling down, and recapped. 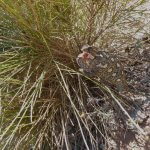 This entry was posted in Blog and tagged moors, restoration work by David. Bookmark the permalink.